This guy. Mohamed Sylla, or better known as "MHD". A French rapper from Senegal and the Republic of Guinea. I found out about him in late 2017 and I was blown away by his craft and how focused he seems on his career for the long term. I also love a foreign artist that does music well and still maintains their individuality. 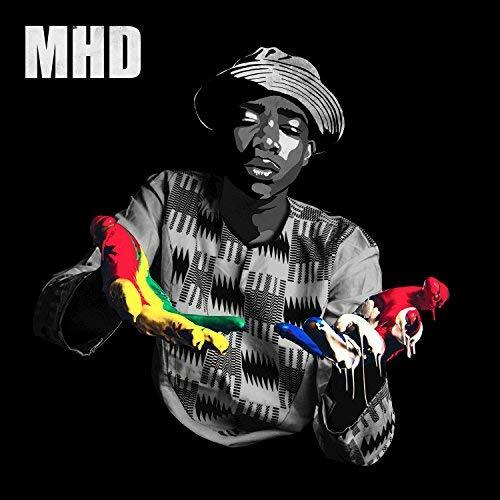 His stage name "MHD" is an abbreviation of his first name MoHameD. He's also part of a group of rappers called "19 Réseaux". He dropped the Afro Trap series in 2015 with “Afro Trap Part 1”. I’m a huge fan of the simplicity and comradery of his crew and other participants that pull you into his videos (KYOH Productions). It makes you want to be a part of whatever MHD's on haha. The lyrics and translations are easily Google-able. Tip: Turn on the Subtitles/Closed Captions on the videos. Here are my favorite songs from the series, based on lyrical content, message and overall musicality. A regular MHD hard hitter. Backing vocals are intoxicating. How can you not sway your hips to this one?! lol It sounds and feels a little more African than Trap. Its perfect. This one leans a little more on the mainstream rap side, while maintaining that African groove we love. I must admit, Diplo did a fantastic job remixing “La Puissance”! It’s a completely different vibe and emotional feel from the original, which is what a remix SHOULD be. The original gives you on a good measured slow vibe. The remix hits a little harder, is a lot funkier and has Diplo’s signature sound that obviously works well with MHD’s. This might be my favorite. That beat, that rhythm, that chorus, that lyrical confidence….Its a lot lol. This one sounds like it could be an anthem to one of the football (soccer) World Cups. It's easy lyrics still deliver. That build-up in the middle of the song is great too! Definitely one of the soundtracks to my summer this year (2018). Always put me in a good mood no matter if I wanted to chill or get that energy up. It basically talks about friendship; How the artist is happy that his friend has found the girl he wants to marry, etc. Life changes. Maman j’ai mal talks favorably about the artist’s family, in particular his mother. Another beautiful piece. As they say, if you can’t move to this type of music, you might want to check your pulse lol.